Judwaa 2 is on an upward trend since the day it has released. 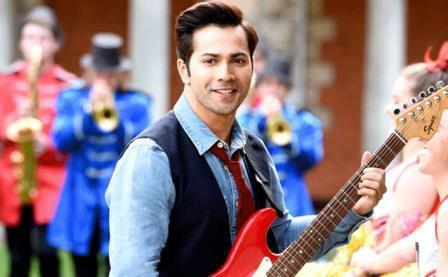 This Varun Dhawan starrer is shattering some records at the box office. The film now has entered the list of Top 10 highest opening weekend grossers of 2017. The movie has collected 59.25 crores in its weekend which lands it safely on the 5th position in the list. Judwaa 2 has eliminated Jagga Jasoos from [33.17 crores] the list. It has surpassed biggies like Toilet: Ek Prem Katha [51.45 crores], Jolly LLB 2 [50.46 crores], Jab Harry Met Sejal [45.75 crores], Baadshaho [43.30 crores] and Badrinath Ki Dulhania [43.05 crores]. Judwaa 2 is definitely an accepted film and we don’t need any more proof for it. It has shown one of the best trends of recent times. Akshay Kumar’s Toilet: Ek Prem Katha showed similar trend but it slowed down its pace on weekdays. It would be interesting to see how Judwaa 2 will fare on weekdays. Today being a National Holiday (Gandhi Jayanti), Judwaa 2 has another day to score huge. “Judwaa 2 is David Dhawan’s 44th film. I am happy as an actor but prouder as a son. He knows his audience and says thank you,” Varun tweeted on Sunday. The movie, also featuring Jacqueline Fernandez and Taapsee Pannu, released on Friday and registered an opening day collection of 16.10 crores at the Indian box office. According to trade analysts, it will pump oxygen in the ailing industry. Judwaa 2 sees Varun bringing back to celluloid the iconic characters Raja and Prem portrayed by Salman Khan in Judwaa, which was also directed by David Dhawan. Jacqueline and Taapsee have stepped into the shoes of Karisma Kapoor and Rambha.